Travelers to Italy often plan most of their visits around those “must see” tourist attractions like the Coliseum in Rome, the leaning tower in Pisa, and the ruins of Pompeii. Italy has enough of these to occupy many months of vacation time. But there’s more to Italy than the typical tour itinerary includes. And one consideration might be local festivals. Just like local festivals here in the U.S. (and probably wherever you live), the festivals in Italy usually include booths with food vendors, special entertainment, and an atmosphere of excitement. 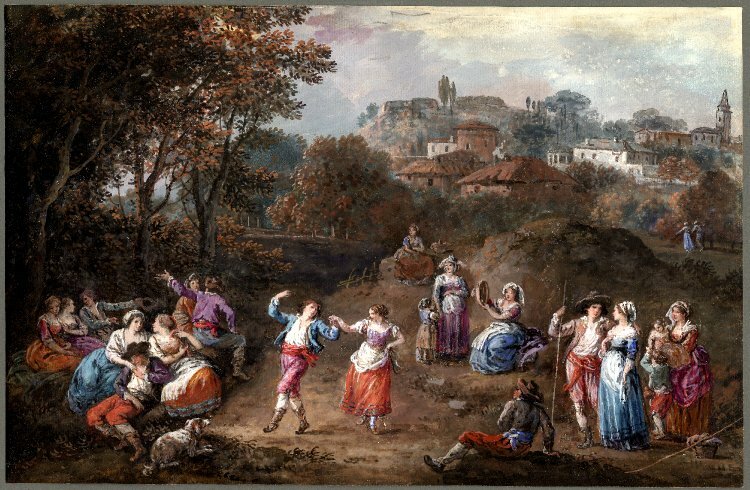 I found festivals throughout the year in towns large and small–ranging from a Trout and Shrimp Festival to a Bonfire Festival, to a snake-handling event with Roman origins. You might notice that this is the business website of a construction company in Abruzzo, but what a great service they have added for the English speaking traveler! Even a referral for an English speaking auto mechanic. Bravi, Craftsmen! There are festivals for all kinds of interests: food (of course!! ), religious holidays, history, music, and many more. You many belong to an organization with members in Italy you can connect with through a local festival in their town. And just as visitors to my town learn a little more about it if they attend our annual Irrigation Festival (going on this week, by the way), you can absorb some more Italian culture by enjoying a festival there. So tell me, readers, have you attended a festival in Italy? Share about it in the comments, please! I began looking for food topics to post about for today, and ended up buying this book. I wanted something about food traditions surrounding the Feast of Santa Lucia, December 13. In our family, our oldest daughter, starting when she was nine or ten, dressed in white with a crown of candles (battery operated!) and delivered freshly baked Orange Danish rolls to us in bed. We usually thought of the celebration through the lens of my husband’s Scandinavian roots. But she was, after all, a Sicilian girl. 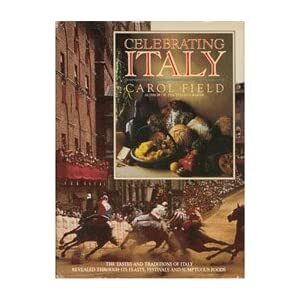 I’m looking forward to cooking my way through Carol Field’s beautiful book of Italian festivals and their foods, and you are sure to hear more about them as I go along! To allow you time for your Christmas preparations, I’m keeping this short. Enjoy the journey through Advent, to Christmas.